Windows 10 updates are, seemingly, a lot more aggressive than they had been in previous versions of Windows. It’s likely that you are noticing updates n a pretty regular basis, and it’s possible that one of these updates changed something that you liked, or adjusted a setting. Despite the nature of the updates in Windows 10, you are able to easily see when they occurred, and what they entailed. 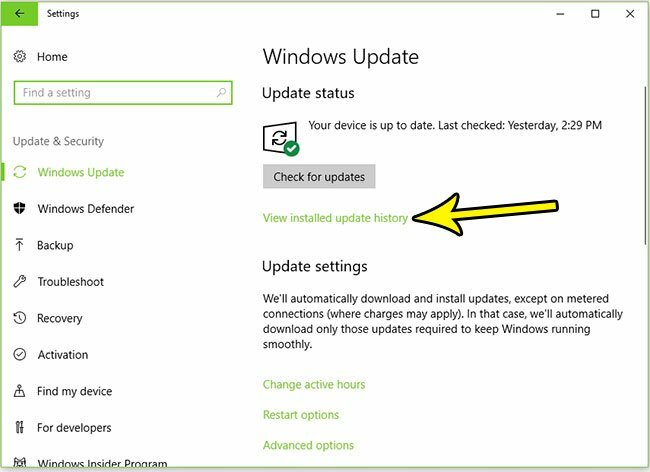 Our tutorial below will show you how to find the list of recently installed Windows 10 updates so you can determine if one of those is causing you any problems. This same menu will also offer options for you to uninstall an update if you have determined it to be a problem. The steps in this article will point you to the menu in Windows 10 that displays the history of updates that have been installed in Windows 10. This information will include a brief description of the update, as well as the date on which it occurred. 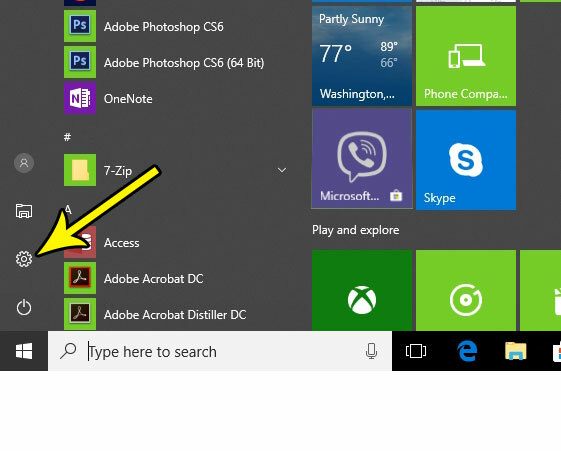 Step 2: Click the Settings button at the left side of the Windows menu. It’s the one that looks like a gear. 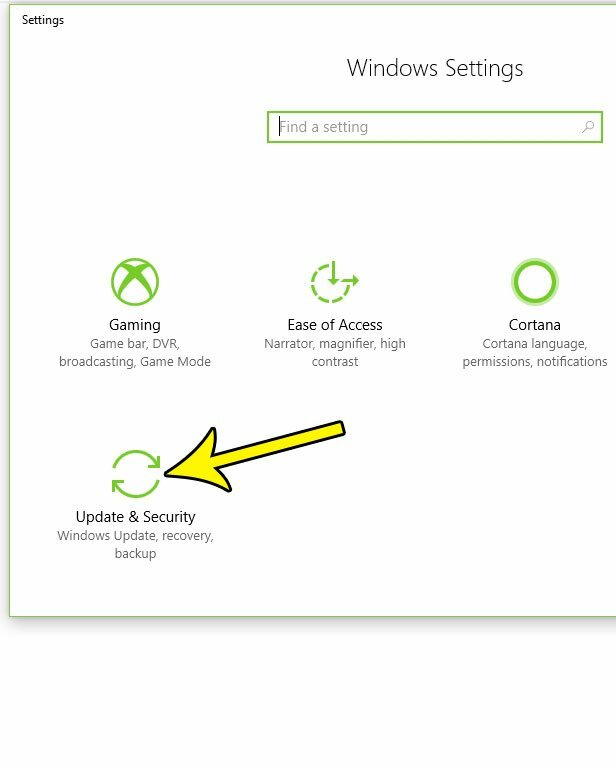 Step 3: Scroll to the bottom of this menu and click the Update & security button. 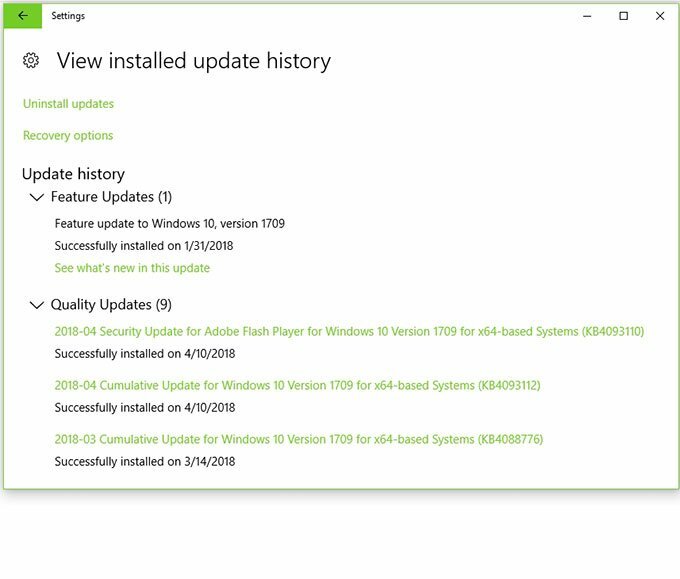 Step 4: Click the View installed update history link. Step 5: View the list of installed updates. Note that there is an option to uninstall updates at the top of this menu, as well as a link that will take you to some recovery options if you need them. Aside from updates, it’s possible that you have some programs that are being installed and updated. 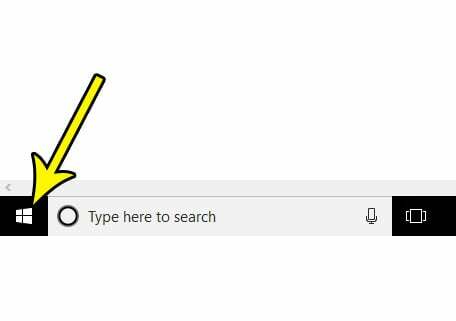 Find out how to view your recently installed programs in Windows 10 so that you can check for any problematic or unwanted programs that have been added to your computer recently. How Do You Keep Your iPhone 7 From Going to Sleep?